What are Warehouse Deal Products? We supply our customers only brand new stock in perfect condition. “Warehouse Deals” stock falls below that standard and if you are happy to accept a little less than perfect, are a real bargain! All Warehouse Deals items are sold at a discounted price and we offer the standard warranty relevant to the product on all items. Your statuary rights are not affected. Note: The first image is a stock image, the rest of the images are of the actual product. What is wrong with the items? Superficial damage – The product is in working order but may have slight marks caused by either manufacturing or during assembly. This product itself is in full working condition. See images for overall condition. These products are sold with our standard warranty and will likely benefit from being fully assembled free of charge saving £79.99 and will receive a full pre-delivery inspection from our assembly team. 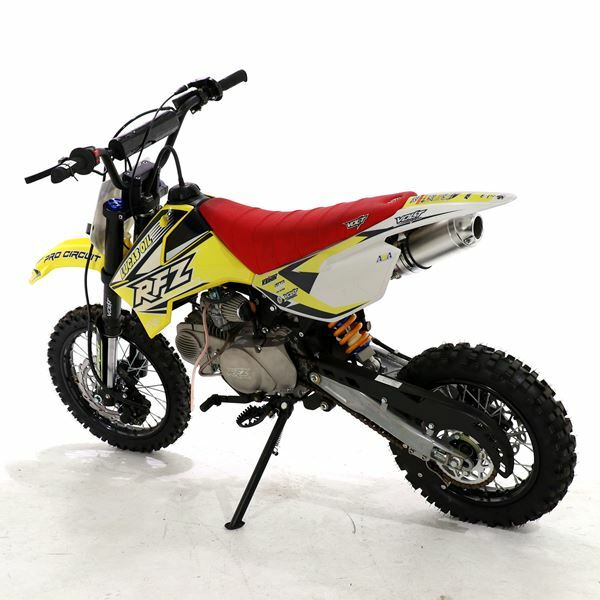 If you are in search of a powerful bike with the ultimate power, then M2R RFZ140cc Racing-Pit-Bike is designed just for you. 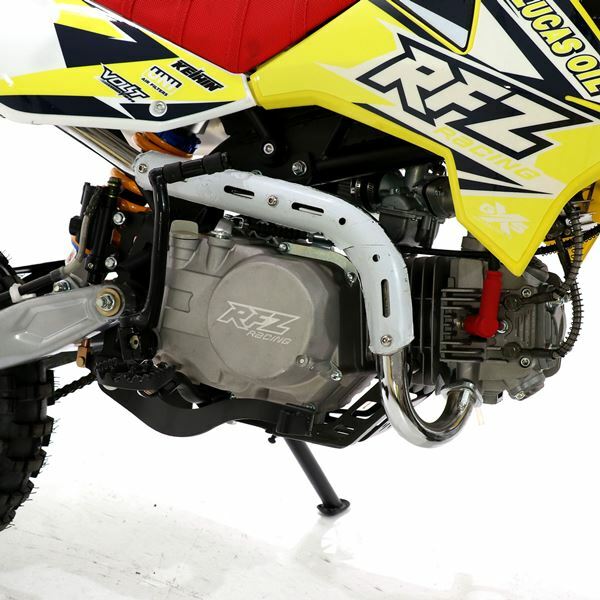 The combination of the ultimate power with an extraordinary control for the rider, is the recognition that M2R RFZ140 has earned. 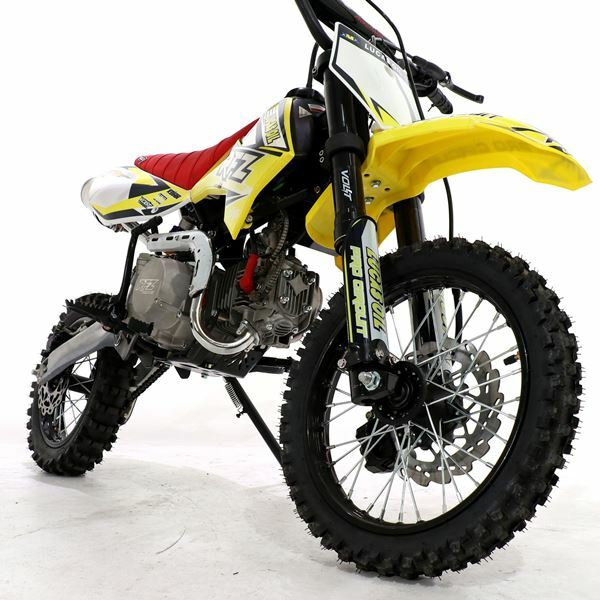 This contemporary pit bike open on the global platform has been built on the CRF50 Chassis with fully adjustable-suspension confirms the significant command to the rider of the bike! 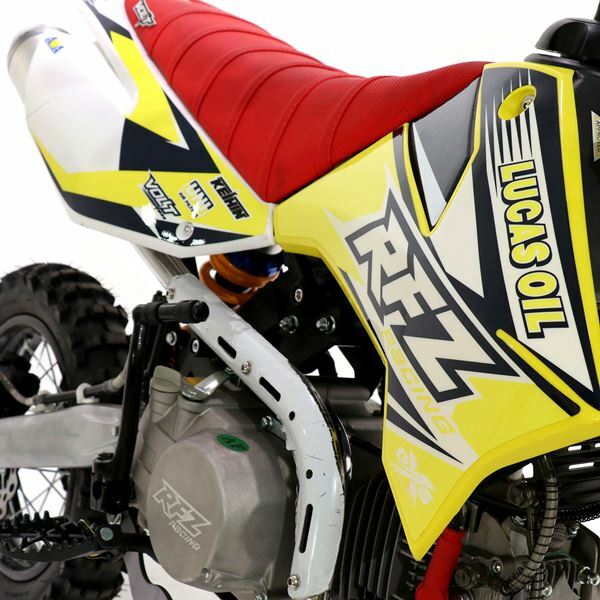 The RFZ140 pit bike is incorporated with a powerful YX 140cc motorsport high performance race engine to deliver you the high power that will match your stylish appearance. 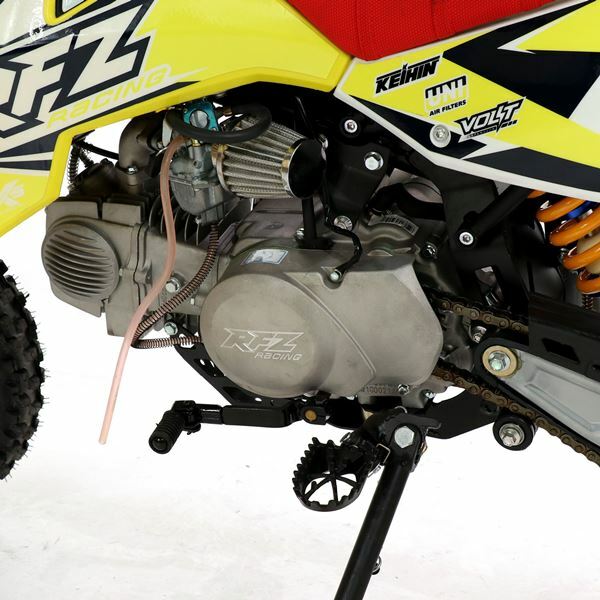 YX Motorsport Race Engine — The ultimate power packed 140cc engine fit for motor racing! 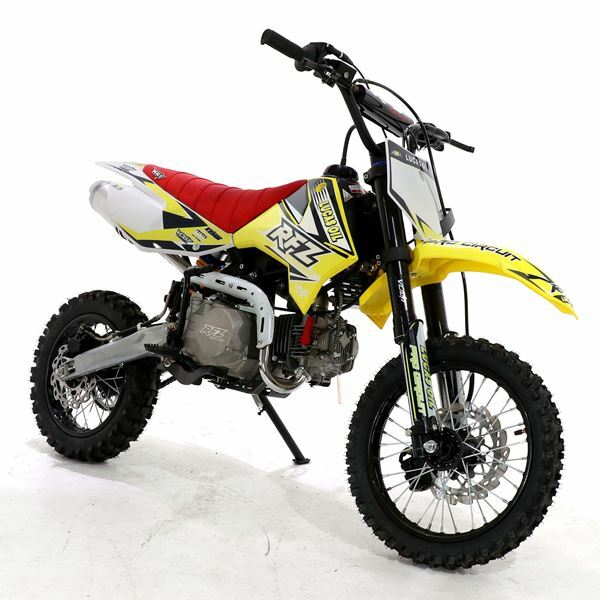 Kick in Gear – You can kick start the bike, when the bike is off in any gear. Coil pack - The up-graded coil pack incorporated in this unique bike gives a very high voltage to the spark-plugs for the internal combustion. Carburetor — It is the 26 millimeter Mikuni Carb that tunes your bike to the maximum performance. Oil Cooler — The CNC oil cooler is light-weight and acts as a perfect cooler to remove the excess heat from the internal combustion. Bash plate — It’s a mini bash plate and it is also very light weight yet giving the highest protection to your engine! 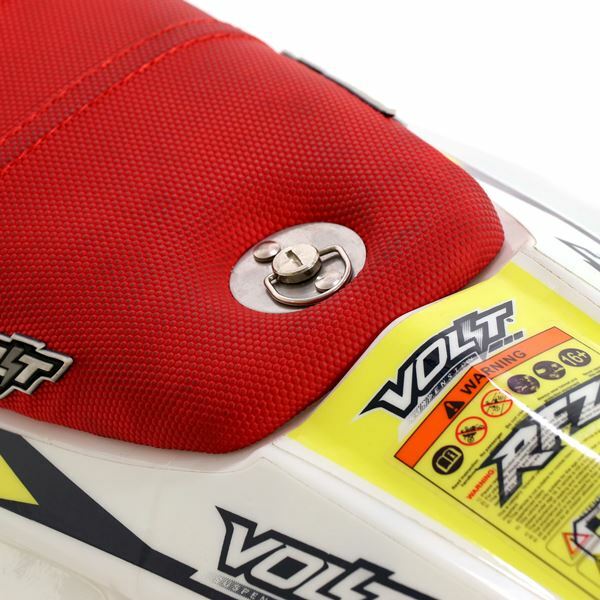 Suspension — VOLT Racing rear shock-absorbers are fully adjustable Front Suspension — VOLT Racing front forks are also fully adjustable leading front axle. Brake — Front brake caliper is twin pot hydraulic. This is a perfectly designed part of the disc-brake assembly system. Rear Brake is a single pot hydraulic caliper. Disk Brakes are designed wavy for maximum heat dispense! RFZ Levers -The levers are fold back so in an event of a fall the lever would fold back rather than snap and break. 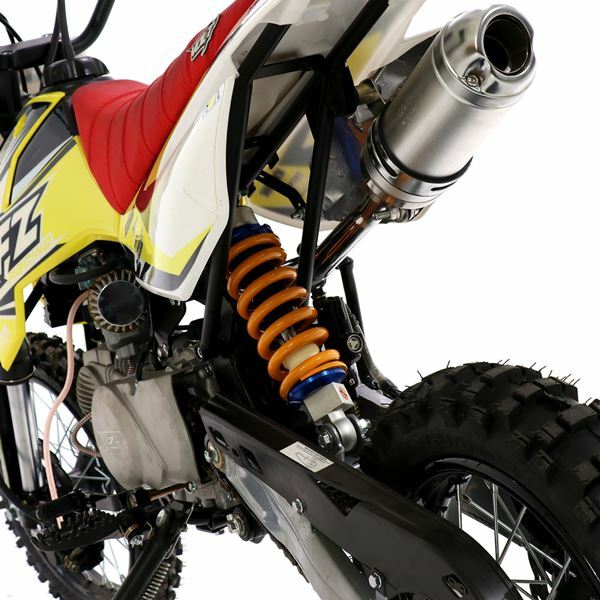 Tires — The quality of tires is designed to be of the motocross level. 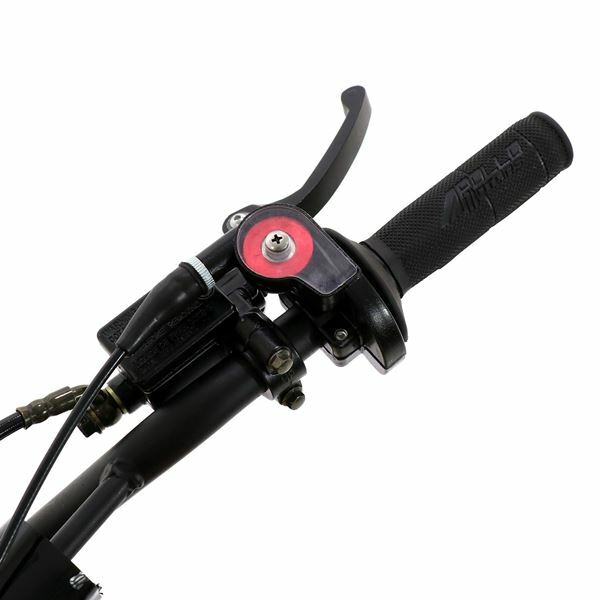 RFZ handle — The strong handlebars are with the brace bar and pad. 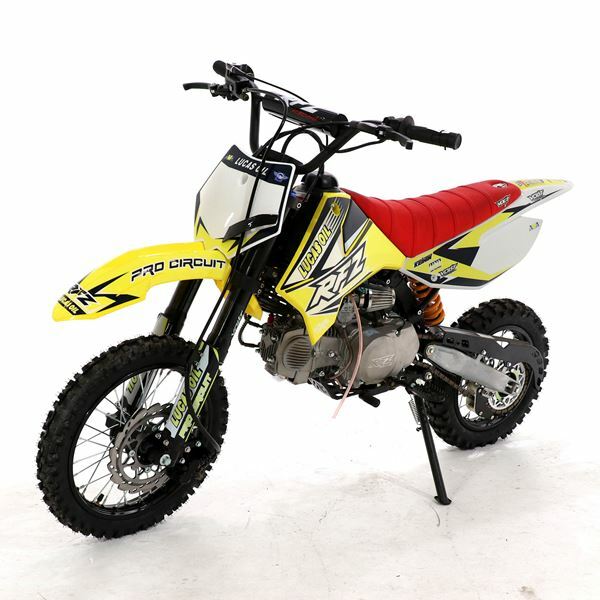 Graphics - The graphics on this bike are 3M waterproof. 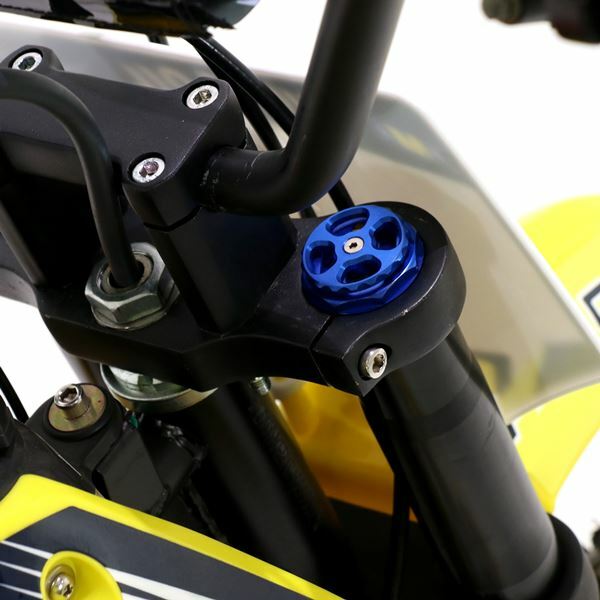 Quick Action Throttle - The throttle is very easy to use and gives fast action as per the desire of the rider. 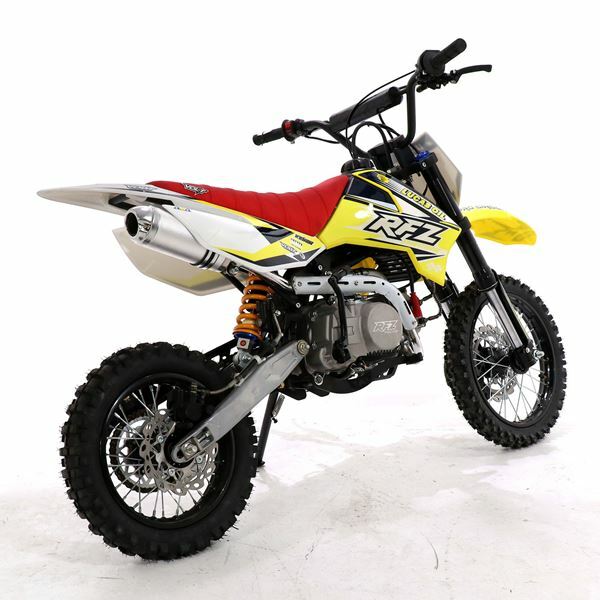 Note - M2R RFZ140cc requires assembly. 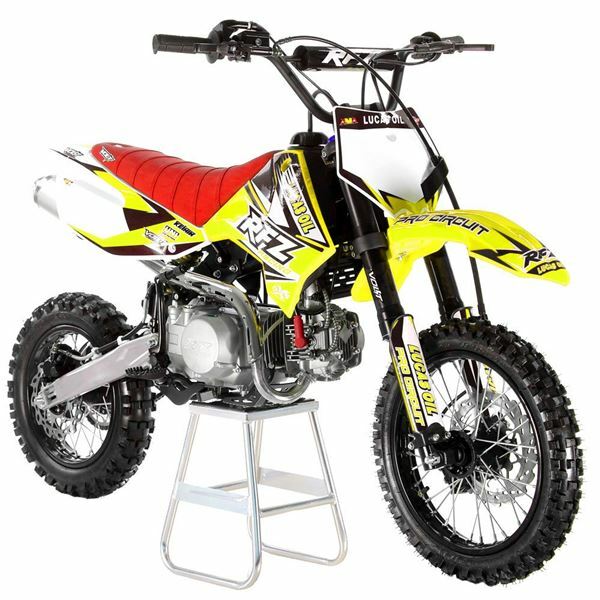 The spares and upgrades are easily available from Funbikes and we also offer free technical support and backup service to all outcustomers.